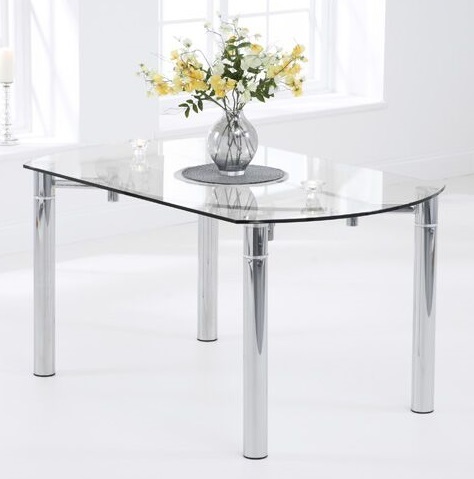 This elegant extending dining table features a smooth 12mm thick clear glass table top. 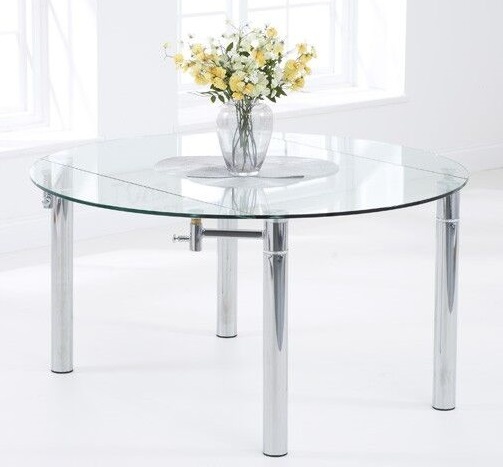 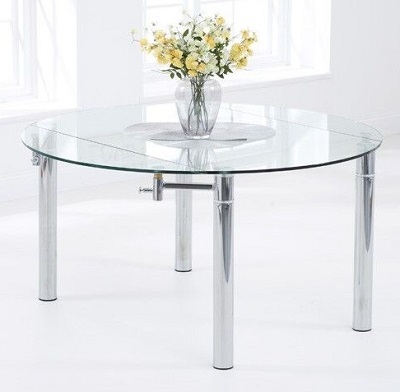 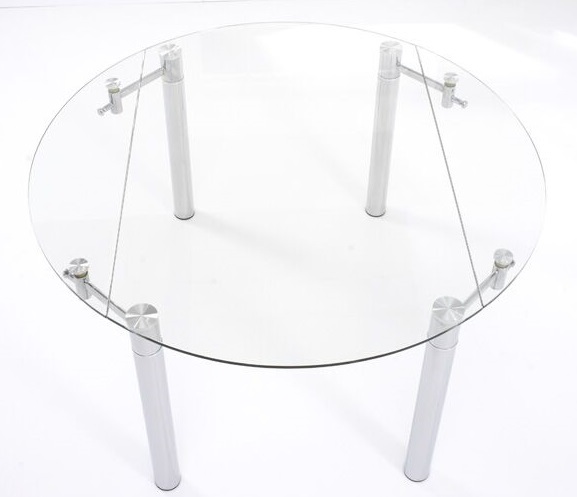 Sleek chrome legs support the top and the Millennium extends and transforms into a round dining table via convenient drop leaf extensions. 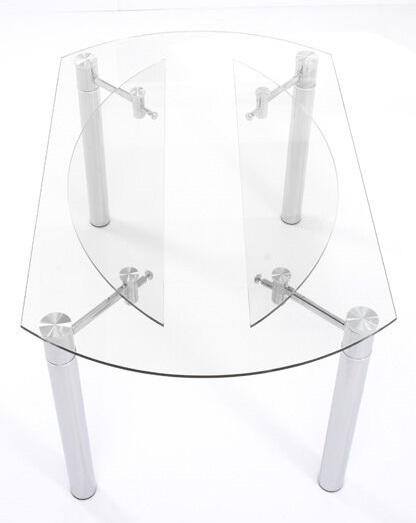 The versatile table seats 4 diners and extends to comfortably seat 6.